Flame is like Blue's guardian pass to her dead father (which belongs to him as suppose to pass to father and son but her brother,Glare couldnt have it since he wasnt never found and choose the dark side, Blue took it over). 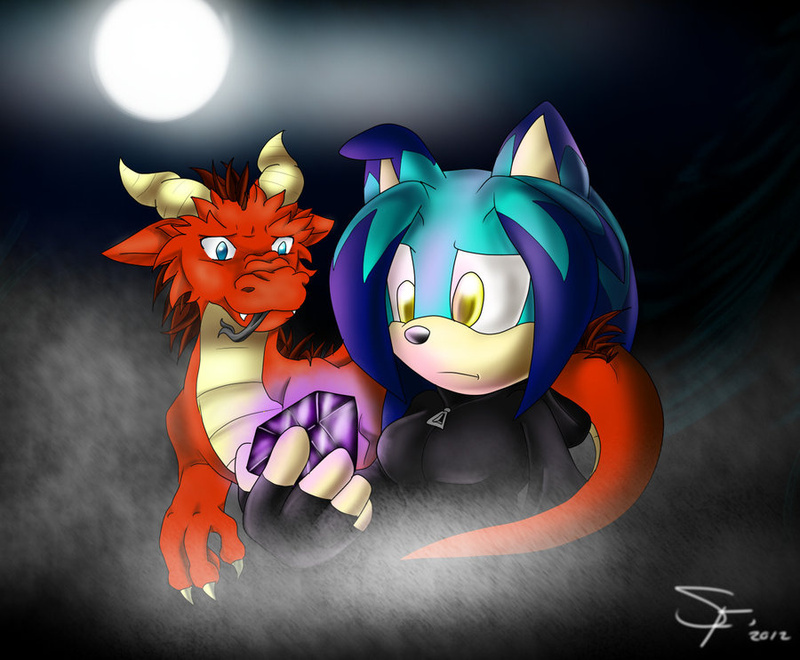 The red Dragon lives in the ring on Blue's finger as no one expect Blue had a dragon. Blue uses Flame as they escape from enemies as Flame change his huge form(as she is a master thief since everyone is after her), travel, fight against powerful enemies and great compound to Blue not to feel lonely.